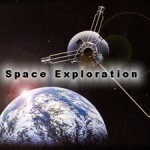 Be the first to see our newest posts! Like Us On Facebook! Tell Your Friends! 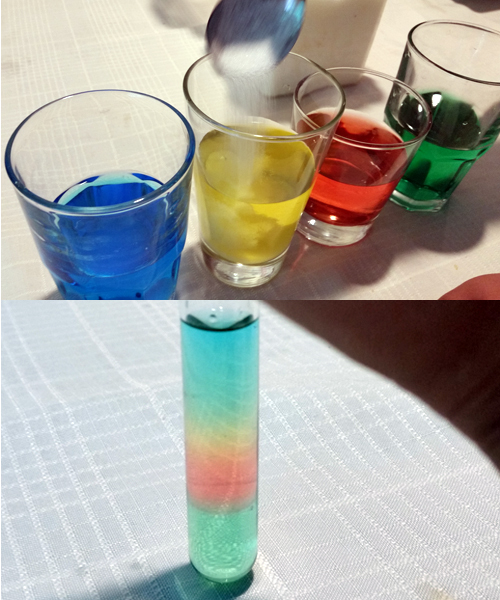 • Start by preparing a water-alcohol mixture by combining 2 Tb spoons of 70% rubbing alcohol with 1 TB spoon of water. Make sure to stir the mixture thoroughly. 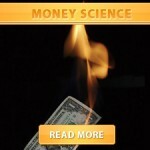 • Dip a dollar bill into the mixture of water and rubbing alcohol, making sure the bill is completely soaked. • Remove the bill using the tongs – squeeze out any excess liquid. • Move the water-alcohol mixture to a safe place (away from the area where you are going to light the bill). • Hold one end of the bill with tongs and light the bottom of the bill. • The bill will look like it’s burning. 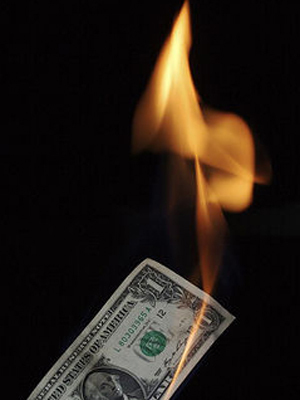 • When the flame is completely extinguished, it’s safe to touch the money… you’ll find that the money is even cool to the touch. 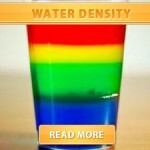 • Fill your cups with 1 cup of warm water and add food coloring to the water. • Add 2 tablespoons of sugar to the 1st cup, 4 tablespoons to the 2nd cup, 6 tablespoons to the 3rd cup and 8 tablespoons to the last cup. • Label each cup with the amount of sugar added. • Stir the water until the sugar is dissolved. • Start with the cup with the most sugar. Using a pipette, dropper or back of a spoon, begin adding the first layer of sugar water. • After the first layer, things get challenging. Carefully drip the next dense layer onto the surface of the first. The best technique is to place the pipette right above the surface of the first layer and against the glass. Slowly drip the next color onto the first. This will take a lot of patience. Go slow. • The colors will begin to mix at first and then your original color will start to show. • Repeat with the next dense color and the least dense color until you have stacked all of the colors. NB. : The more sugar you add to the water, the more sugar molecules will take over the space, making the water more dense. The cup containing the 5 tablespoons of sugar will be the most dense, the cup with 1 tablespoons will be least dense. That is why we layer them with the most dense liquid at the bottom and the least dense at the top. • Use the tape to create labels for each type of liquid you will test. 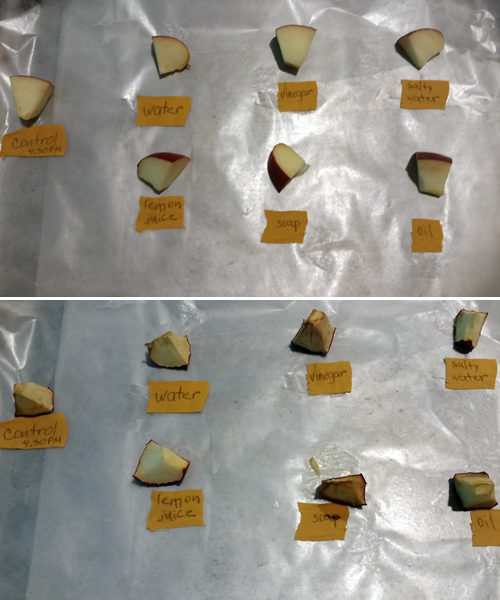 • Place your labels on the baking sheet or wax paper. 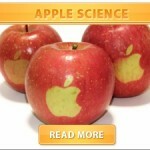 • Cut the apple into slices at least 1-cm thick. • Fill the bowl with enough liquid to fully submerge each sample. • Dip a slice into the liquid with tongs. Be sure to cover the whole slice! Let the extra liquid drip off before placing it under the correct label on the baking sheet or wax paper. 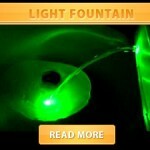 • Rinse out the bowl and repeat until you have made samples with each liquid. • Record all your observations, taking note of the time. NT. : The food’s skin protects the inside “meat” of the fruit or vegetable from damage and debris. When a fruit or vegetable is dropped and the skin is poked or broken, the food often goes bad faster. The reason fruits and some vegetables go brown when they are cut is because the part containing the oxygen-reactive enzyme is exposed. There is then a lot of surface area for the air to come in contact with the food. For the most part, brown fruits and vegetables still taste fine, they just do not look very appetizing. Acids prevent browning because they react with the oxygen that comes into contact with the surface of the sample. Once all the acid (or whatever else is covering the surface) has reacted with the oxygen or the acid has degraded or washed off, then the sample will start to brown again. Stronger acids, like lemon juice, can even denature the enzyme. This means that the enzyme can no longer perform its original function because of its environment. 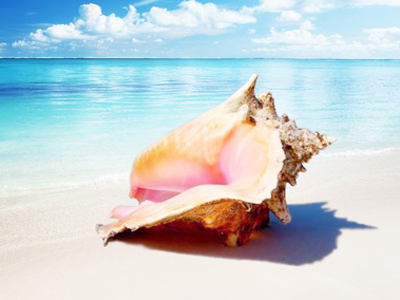 • Hold a conch shell up close to your ear. What do you hear? It sounds like the ocean. do you think an ocean is in the shell? 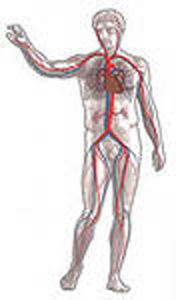 You are hearing your blood move through your body. Because of its shape, the shell captures the sounds of your blood moving and sends them back to the ear. Today we are going to recreate Bernard Courtois’ experiment and get iodine crystals. But since not all of us have seaweed at home and the sulfuric acid is very dangerous we are going to use something that almost all of us already have. • Pour a little bit of iodine solution into a glass container. • Add few drops of hydrogen peroxide. 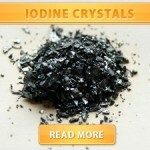 • After a minute or so you will see grey iodine crystals on the bottom of the glass container. • The Hydrogen peroxide helps to convert the iodine salts to the desired form. 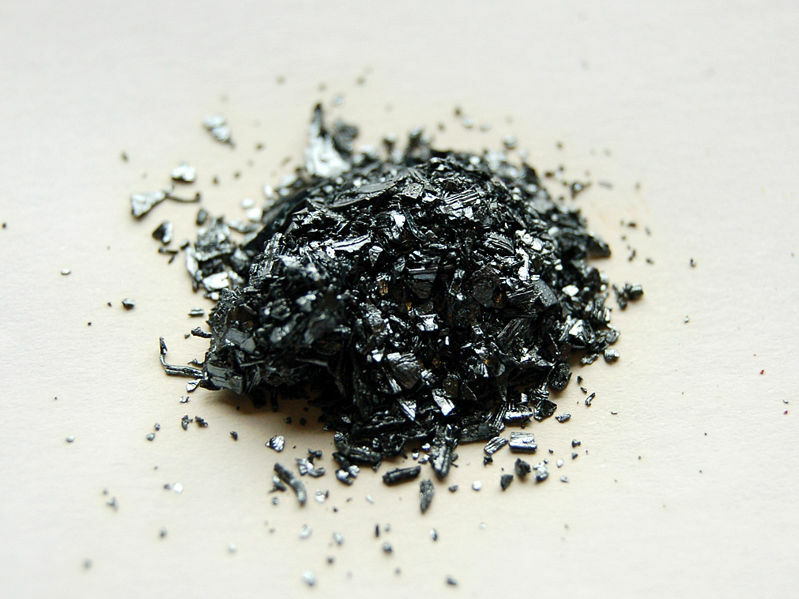 Note: • Don’t try to store iodine crystals in a plastic bag, as they will slowly turn to gas and leak through the plastic. • Don’t let the crystals sit out too long, they sublimate rapidly and you’ll loose them. • Don’t drop any of the iodine crystals on your carpet because the stain will come back for years no matter how good you clean them. • Carefully place the egg in a cup and fill the cup with vinegar so that the egg is completely covered. • After a day of soaking you can carefully remove the egg from the vinegar. • Depending on your particular egg, you may already have a naked egg. However, it will not hurt you fill a cup with fresh vinegar and soak the egg for at least one more day. • After two days of soaking you should have a pretty cool Naked Egg. Let’s start with the bubbles you saw forming on the shell. The bubbles are carbon dioxide gas. Vinegar is an acid called acetic acid – CH3COOH – and white vinegar from the grocery store is usually about 5% acetic acid and 95% water. Egg shells are made up of calcium carbonate. The vinegar reacts with the calcium carbonate by breaking the chemical into its calcium and carbonate parts (in simplest terms). The calcium part floats around in the solution while the carbonate part reacts to form the carbon dioxide bubbles that you see. Some of the vinegar will also sneak through, or permeate, the egg’s membrane and cause the egg to get a little bigger. This flow of a liquid from one solution through a semi-permeable membrane and into another less concentrated solution is called osmosis. That’s why the egg is even more delicate if you handle it. If you shake the egg, you can see the yolk sloshing around in the egg white. If the membrane breaks, the egg’s insides will spill out into the vinegar. Yes, you’ve made a pickled egg! 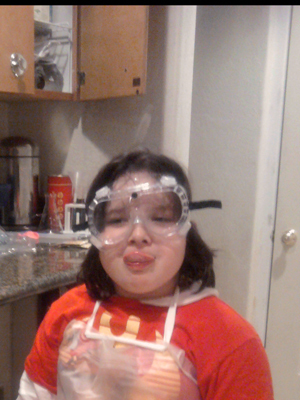 Allowing the egg to react with the carbon dioxide in the air will cause the egg to harden again. 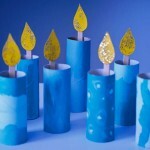 • Fold a paper towel into fourths. • Put the towel in the bowl. 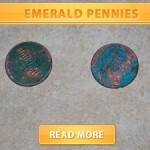 • Put pennies on top of the wet paper towel. • Wait overnight and observe. Explanation: The main ingredient in pennies is a metal called copper.It’s copper that gives pennies their reddish-brown color. Vinegar contains a chemical called acetic acid. When acetic acid touches copper, something new is created – a green-blue chemical called carbon acetate. In science, we call this kind of change a chemical reaction. The chemicals in the vinegar and in the copper react (change) when they are combined, making carbon acetate on the pennies. The tops of the pennies changed color, but not the bottom. That’s because this chemical reaction can only happen if oxygen from the air around us is available. 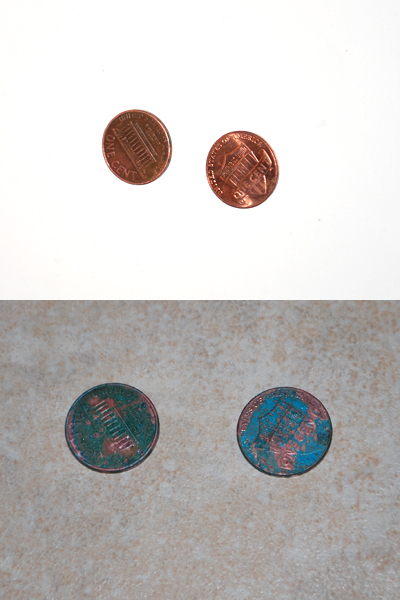 The tops of the pennies are exposed to the air and so oxygen is available to be part of the chemical reaction. The bottoms of the pennies don’t change because they don’t have enough oxygen next to them to make the reaction possible. • Set a plastic bottle in the middle of a baking sheet to catch the toothpaste. • Mix warm water and yeast in a cupand swirl together for a minute. • Mix hydrogen peroxide, food coloring and dish soap in your bottle. • Pour the yeast mixture into the bottle…and be amazed! The reaction is summarized by this formula: 2 H2O2 –> 2 H2O + 02. Hydrogen peroxide (H2O2) naturally breaks down into water and oxygen. It is stored in opaque containers to help slow down this process. 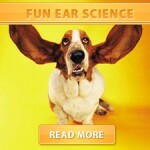 Catalase (an enzyme in all living things, including yeast) speeds up the reaction. 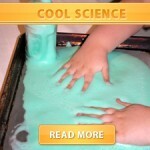 Dish soap catches the oxygen and makes bigger bubbles and the food coloring makes it look cool. The foam and bottle feel warm because the reaction is exothermic -it releases energy as heat. 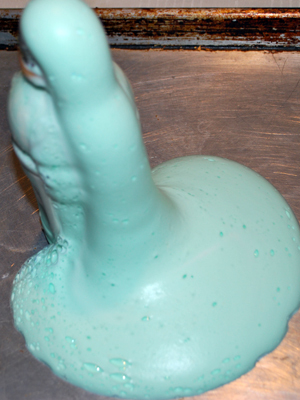 •Using the funnel, add the baking soda to the balloon. • Pour the vinegar into the bottle. • Carefully fit the balloon over the bottle opening (be careful not to drop the baking soda into the vinegar yet). • Once the balloon is fitted snugly on the nozzle, hold up the balloon and allow the baking soda to fall into the vinegar. 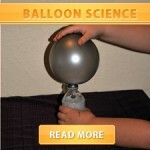 • Observe the chemical reaction and effect on the balloon. • Trace a cookie cutter onto red felt. • Cut out the circle. 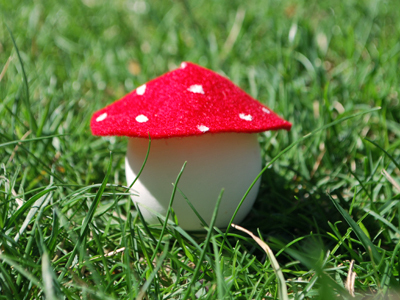 • Create mushroom cap by creating a wide cone. • Paint white spots on the mushroom cap. 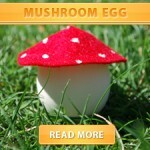 • Finish mushroom egg by gluing felt cap to wooden or blown egg. • Color the paper plate with watercolor. 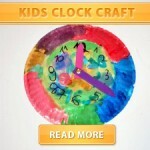 • Use scissors to cut out clock arms from craft foam. • Poke a small hole in the ends of the clock arms to insert the fastener through. • Poke a small hole in the center of the paper plate. 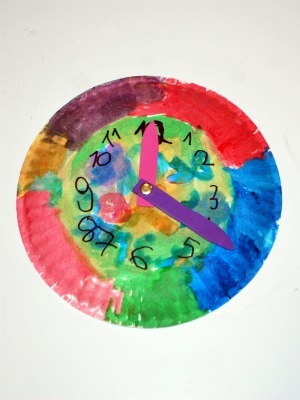 • Use the marker to write on the clock numbers. • Insert fastener through the clock arms and then through the hole in the center of the plate. • Close back of fastener loose enough so that clock arms will move. Every February we celebrate Valentine’s Day by giving flowers, candy and cards to those we love. We do this in honor of Saint Valentine. 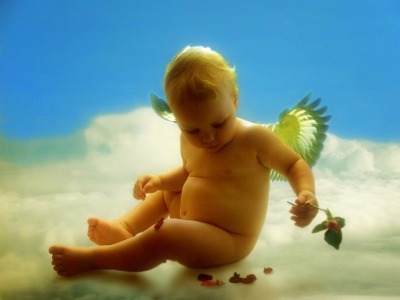 You may be wondering, “Who is St. Valentine”? Time to brush up on your Valentine’s history! Legend has it that Valentine was a priest who served during third century Rome. There was an Emperor at that time by the name of Claudius II. Emperor Claudius II decided that single men made better soldiers than those that were married. With this thought in mind he outlawed marriage for young men in hopes of building a stronger military base. 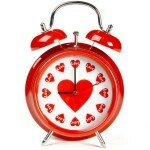 Supposedly, Valentine, decided this decree just wasn’t fair and chose to marry young couples secretly. When Emperor Claudius II found out about Valentine’s actions he had him put to death. Another legend has it that Valentine was an imprisoned man who fell in love with his jailor’s daughter. Before he was put to death he sent the first ‘valentine’ himself when he wrote her a letter and signed it ‘Your Valentine’, words still used on cards today. Perhaps we’ll never know the true identity and story behind the man named St. Valentine, but this much is for sure…February has been the month to celebrate love for a long time, dating clear back to the Middle Ages. In fact, Valentines ranks second only to Christmas in number of greeting cards sent. Great Britain is the country who is given credit for starting the printing of greeting cards, especially those expressing love, admiration, infatuation and other emotions. St.Valentine’s Day did not come to America until 1629 but 100 years passed before the first Valentine Cards appeared in the United States. The colors of Valentine’s Day are: Pink, Red and White for most cards and decorations, but is also on other Valentine commercial items like clothing, stuffed animals, candles, etc.